Tom Franke aka DJ TOM, global travelling DJ, producer & remixer, Music consultant, Event Manager, host & resident DJ of Germanys biggest Electronic Radio Show „Tronic Love“ on Major Radio Station bigFM. First german Dj with his own Radio Show on IBIZA on WhiteFM Radio, which belongs to the famous Tantra bar on the Island. ...looks back on a 15 years successfull DJ Career. He started professionell Djing in 2000. At this time he was germanys youngest Label Owner and on the Top of the international Dance Market with his massive Techno/Trance Label Beatz only. The tracks have been licensed to more then 5 Million Compilation Copies all over the world. Exclusive Label deals and gold & platinum Status with diffrent compilations. TOM played shows in more then 25 diffrent countries on every continent of this world. 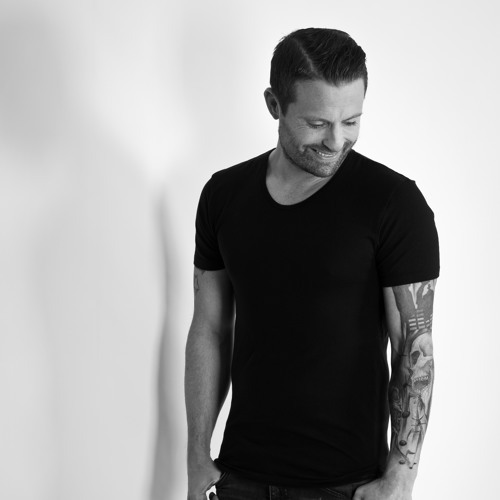 He was booked by worlds biggest Dance Companies and Raves like Godskitchen, Gatecrusher, Ministry of Sound, Slinky, Nature One, Love Parade, Street Parade etc. At the forefront of the German House Masters, DJ Tom lives to rock dance-floors worldwide. A consumate showman, Tom's totally entertaining "on stage" & "in-booth" antic's set him well apart from the shoegazers & trainspotters. As a total professional this never however prevents him from seamless mixes & an uncanny ability to keep an eye on crowd reading & mood-shifting. Tom's abilities speak for themselves with the large majority of his shows resulting in return bookings & together with his impressive label & production history is generating a growing fanbase in those territories & cities. With more then 100 Single releases around the world, Top 5 Album Entries in the American Billboard Album Charts, Number 1 hits in major global dance charts he belongs to germanys new brightest stars in the electronic Music Scene in the last years. TOM is well known for his sound. His releases are a must have for all DJ..s and acts. His very own compilation are respected albums which sells a few thousand copies world wide. TOM..s Radio Show" Tronic Love" is the biggest, newest and best electronic Radio show in germany. With his last single releases "Magic Mellody" "Techno Cat " So much love to give" or "Rock on" "Marie" TOM celebrates hughes success all over the globe. The tracks licensed to over 20 diffrent countries including Major Labels like Royal Flush in France, Gallo In South Africa or Spinning in Benelux, Top 5 Dance Charts Entries, or on Top on Major download Stores like Beatport or track it down. Only to imagine... Tom played every continent - was 2 years Resident Dj of NYC leading Nightclub Webster Hall, did more then 100 Album and Single releases world wide ! So to much to say ...watch his shows !